The Iowa Senate has sent the governor a bill that would establish new penalties for adults who knowingly allow “keggers” or other big drinking parties on their property for teenagers under the age of 18. 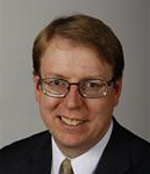 Senator Herman Quirmbach, a Democrat from Ames, says this week’s VEISHEA riots near the Iowa State University campus prove the need for such a law. Senator Rob Hogg, a Democrat from Cedar Rapids, says these kind of events are a “significant problem” throughout the state. One ISU student was seriously injured in Tuesday’s rioting when he was hit in the head by a light pole that was toppled by a rowdy mob. The Senate originally wanted to penalize adults for allowing 18-, 19- and 20-year-olds to drink on their property, too, since the drinking age is 21, but a bipartisan coalition in the House resisted, so the final bill only deals with keggers for the under 18 crowd. Under the final version of the bill, the owner or renter of a property who hosts a kegger or big drinking party that’s busted by law enforcement could be charged with a simple misdemeanor and face a $200 fine. Twenty-two Iowa counties and 26 cities within the state already have similar ordinances which penalize “social hosts” caught throwing a party where people who aren’t 21 are caught drinking.